2017 has been a great year for ecommerce, as many fresh and impressive additions were introduced to online businesses. And as 2018 approaches, the technology advancements are proceeding to greater levels. The twelve amazing ecommerce trends that are just around the corner that will dominate the sector, in the oncoming year 2018, are as follows. 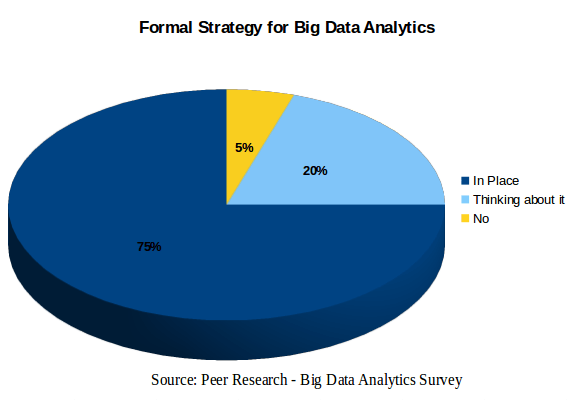 Big data and analytics have transformed all industries, Omni-channel platform to squeeze the best out of their endeavors. Accordingly, almost every action of the users can be turned into some kind of data, today; and those data will assist ecommerce sites to know more about their target base. Both the entities are all set to assess customers’ demand; disseminate highly personalized customer experience; and also to optimize pricing structures, in the future. The voluminous data, pave a definitive path towards implementing varied digital marketing cultures, relevant to their intentions. Therefore, online marketers get to know, where and when to deploy personalized marketing, segment marketing, native marketing, etc. And eventually, it also boosts the anticipative outcomes of the marketing endeavors. The emergence of blockchain technology has already started impacting the eCommerce industry, and in the next few years, it will change the overall online shopping landscape. The technology will allow customers to get across directly to business firms, eliminating the middlemen. Besides, it will enhance the transparency and security of the process. However, the system will involve specific obligations, which need to be fulfilled. For instance, shoppers can forward the determined cost of the products they are willing to buy to the contract in cryptocurrency. The seller, on the other side, forwards the proof of ownership, linking the smart contract to the firm transporting the product which is sold. The smart contract will transfer the funds to the seller’s wallet after the obligations are fulfilled. Along with these trends, product tagging and extensive mobile shopping are expected to be other prominent aspects in the eCommerce circuit. By 2020, the eCommerce industry is likely to hit as much as 50% annual growth. It is necessary for the established players as well as the eCommerce startups to keep themselves tuned to the latest trends and integrate the necessary technologies on their platforms. Online shopping has already started changing the global shopping paradigm, with more to come in the coming years, once these mechanisms are implemented. You can approach the established platforms to integrate your platform with the technical edge. Videos have a far greater visual impact than images or text. Integrating live videos is one of the best ways to steal your customers’ attention. While you inform your existing customers through videos, you can carry out promotional campaigns to new customers. Video calling and live chat, too, have cast a profound impact in the eCommerce business circuit. Integrating videos allows your customers to come up with their queries directly to your platform, enabling them to make quick purchases. Besides, it eliminates communication gaps in business. Besides, chatbots are penetrating into the business ambiance at a fast pace. With the chatbot market growing at 24.3% CAGR, communication mechanisms between companies and customers are likely to become simplified. It comes up with an instantaneous and natural way of reaching out to the customers. 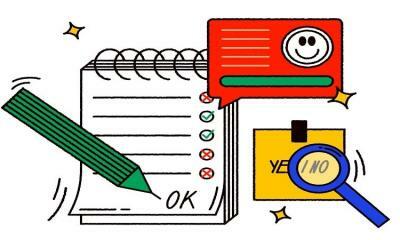 You can get across to potential buyers with personalized marketing materials, suggest deals and special offers, and acquire important marketing insights from them, using chatbots. Besides, dedicated messenger apps for eCommerce are likely to make their presence conspicuous by 2018. With the advent of advanced technologies, almost every person owns a smartphone or tablet. People predominantly initiate online researches, related to shopping and even make purchases through these gadgets, rather than from desktops/laptops. 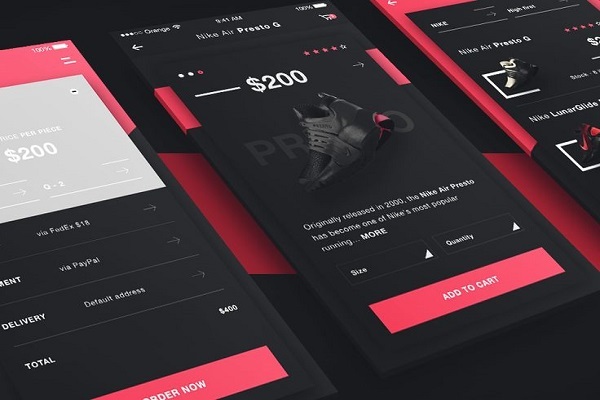 As evidence, more than 50% of the ecommerce sales are now found to be made via mobile platforms; and it is expected to continually grow up in the oncoming years, which will have a significant impact on the online businesses. The upsurge in the mobile market is going to be the trendiest vogue in 2018. According to Goldman Sachs, the global revenue share, the mobile ecommerce would hold, will be approximately $626 billion roughly. The global chatbot market has attained a whopping 24.3% of CAGR (Compound Annual Growth Rate); over 45% of end users consider chatbots as the primary choice, for customer service inquiries. Yes, we’re in the era of messengers and chatbots! Propel customers personalized marketing contents. Suggest ideal purchase options and special coupons or deals, to prospects. Acquire valuable insights, directly from the customers. Native advertising is heightened tips with chatbots. Moreover, their compatibility with messenger apps, offer refreshment, against app fatigue. 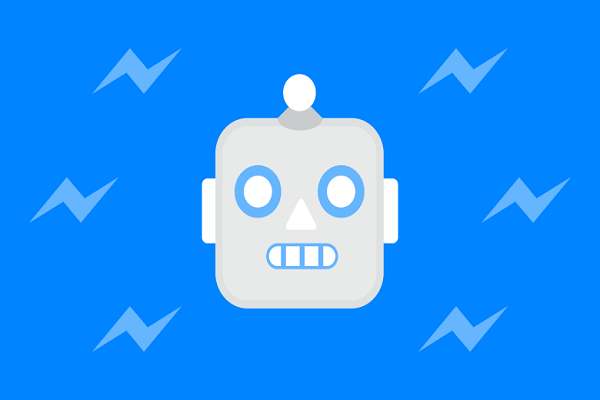 Hence, it’s evident that the chatbots, pinned-in with messenger apps will play a massive role in ecommerce, by 2018. Supply chain management plays a significant role in the ecommerce industry, which is also extensively delicate to handle. The sector is going through vast improvements, eventually posing the next big entity in the ecommerce trends. Automation - It’s all about automation, as far as supply chain management is concerned. Automation and process consolidation helps businesses to propagate a clear and unhindered transition of product/information flow. Data sharing - The data, such as availability of stock details, shipping information, customer details are made relevantly available at all the stages of the supply chain. 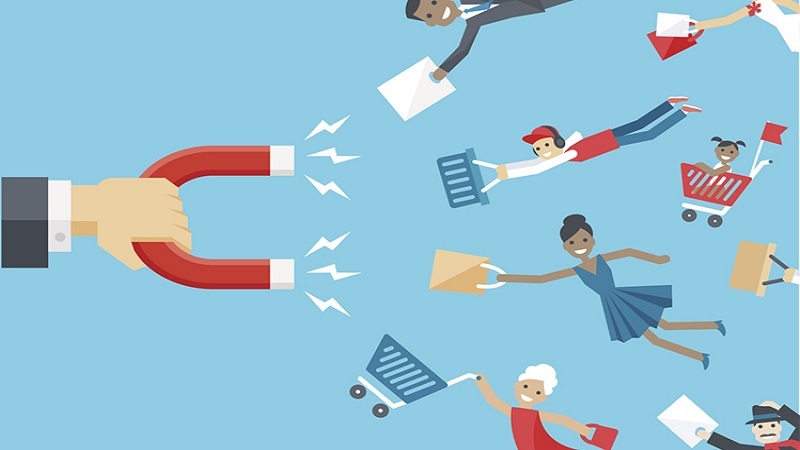 Customer-Centricity - It’s critical to know your customers’ aim, preferences, and tendency. 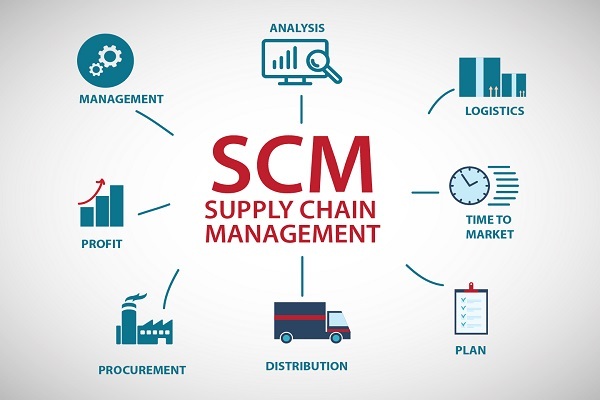 Efficient supply chain management relies on all these to improve your operational efficiency. When customers research about a product or look for instructions, there are certain most inclinable touch points, which are called “micro-moments”. 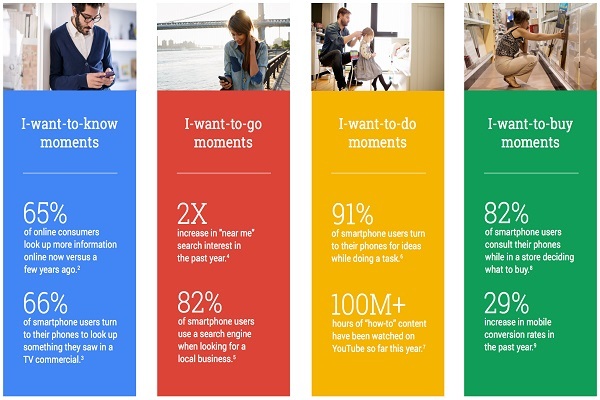 Devised by Think with Google, the micro-moments are one of the hottest ecommerce trends that are going to rule in 2018. Their raging need for immediate gratification and the always-on access to information through smartphones, fuels this behavior. Hence, moments, such as I want to do; I want to buy; I want to go; I want to know; etc. can be traced, through their smartphones. In order to fulfill customer needs, ecommerce retailers reflexively take relevant actions based on their micro-moments. This helps to accurately anticipate customers’ actions and tendencies. Major brands are already catering their offers, leveraging these moments. Thanks to the massive growth of the smartphone technologies! Voice assistants have gone through an enormous growth in terms of popularity and desirability, in the recent times. Of course, people are ardently involved in using voice-activated digital assistants, like Apple Siri, Amazon Alexa, Google Assistant, etc. in their day-to-day lives. Pertinently, they also put them into action just by speaking, to accomplish various purchase-oriented tasks. 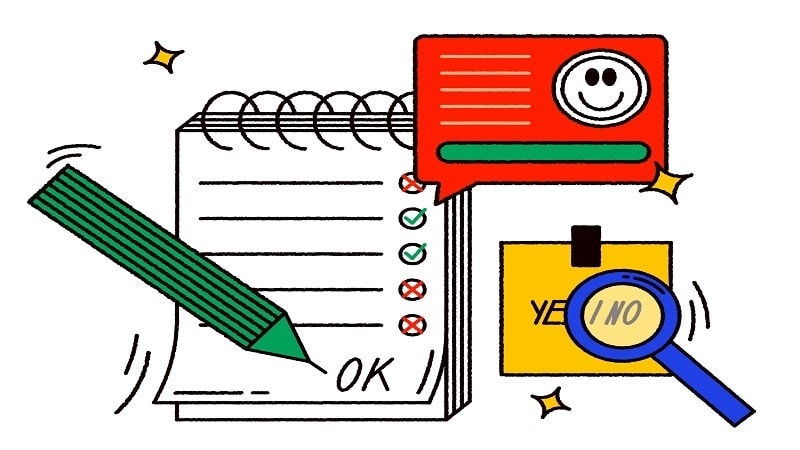 Permissive to it, customer research about the products they like to buy; make payments; and even check balance, using the voice assistants. 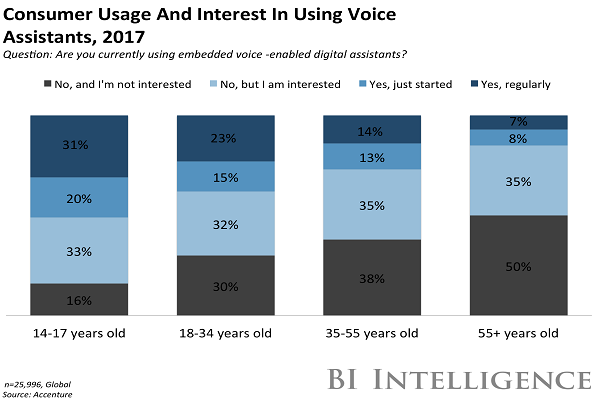 A recent analysis deduced that about 40% of millennials are already bumping into a voice-assisted research, whenever they want to shop something. 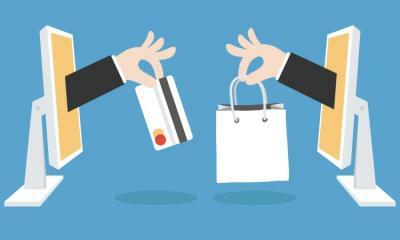 Thus, it is substantiated to be a compelling factor that will influence the ecommerce sectors. Therefore, the keyboard/mouse will slowly phase out, while the voice purchases are making its way to a greater prominence. Smart evaluation of data is one of the best advantages of integrating AI on your platform. AI enabled operational mechanisms help in coming up with recommendations and dynamic pricing, which are based on the preferences of the customers. With eCommerce firms focussing on personalized and customer-oriented services, 2018 is likely to witness a large-scale integration of artificial in the business model. According to experts, AI will be one of the dominating eCommerce trends that will make the searches more customer-oriented. This will help business firms in targeting and retargeting prospective buyers. Artificial intelligence enables marketers to come up with personalized marketing tactics. This strategy has already been implemented by a few leading companies. Take the instance of Good Tea Earth. The online portal of the company presents customers with a short quiz regarding their flavor preferences and related questions. Eventually, the customers receive highly tailored recommendations, which suit their tastes. With increasing competition and segmentation of customers, eCommerce companies are looking forward to establishing an omni-channel presence. This is a priority for these companies, as an omni-channel presence helps in attracting more customers. You may have noticed, that customers receive advertisements enabled by cookies, and this is a popular marketing trend for the business firms. The eCommerce business had started with the desktops, and now the majority of the customers have embraced the smartphones. The point of saturation has already been reached and business firms are looking forward to a possible way out of the stagnation. This is one of the key reasons for which business firms are going omni-channel. The range of devices used for browsing has also changed. 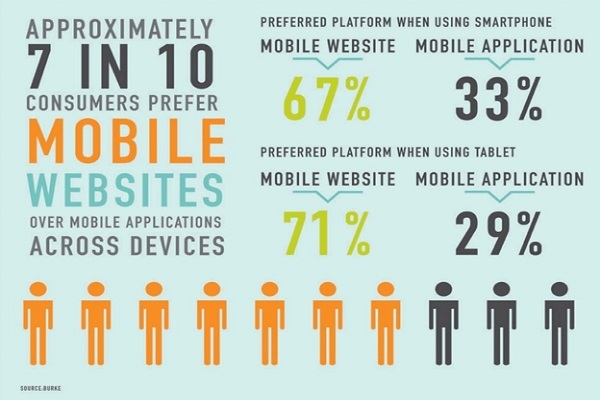 Ecommerce companies are striving to make their websites compatible with these devices. Besides, it is important to integrate each of the channels of business to strengthen the online presence. The success of an ecommerce business obviously depends on, how well the products/services are showcased; and how easy it’s to the customers to comprehend them. The two factors can be addressed by User Interface (UI) and User Experience design aspects. Heighten mobile-responsive design, as mobile devices are becoming the primary source for product research and purchase. Exhibit a clutter-free and SEO-friendly user interface with pertinent videos, animations, sidebars, and real-time photographs, to grab the customers’ attention. Provide navigation links to compare products with the competitors’, to enunciate competence. 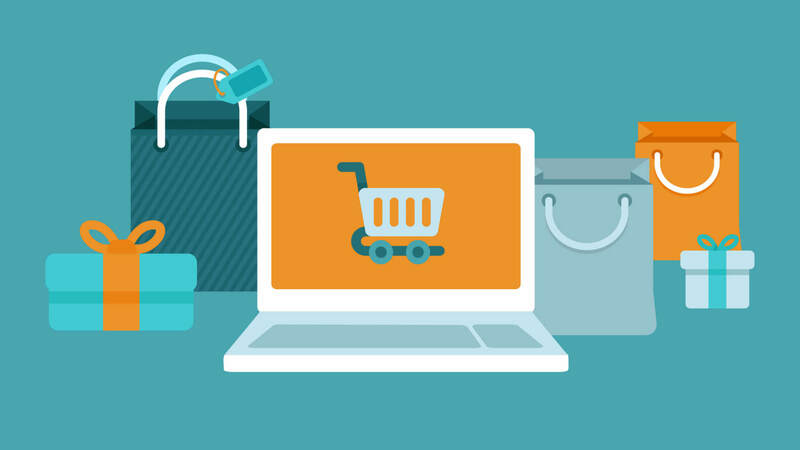 Cart abandonment is one of the common reasons for loss of revenue for eCommerce firms. 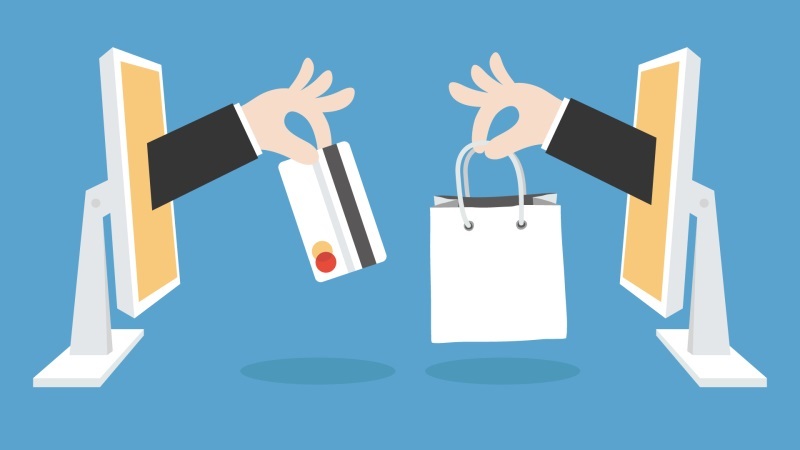 In 2015, eCommerce firms lost revenue worth $4.4 billion due to cart abandonment. Post-paid programs, or pay-later mechanisms can be an effective solution to minimize these losses. Most of the time, customers are interested in products, but end up abandoning the cart due to the lack of confidence in the product quality. A large number of eCommerce firms are trying out the ‘purchase now pay later’ option, which enables customers to make the payment only after they receive the products. Once implemented on a large scale, this methodology can reduce friction in business to a large extent. Another reason for cart abandonment is failure at payment gateways. Pay-later program is a good proposition for eCommerce companies, as it can minimize loss of revenue to a significant extent. Besides, it is a strategic tool for customer acquisition. 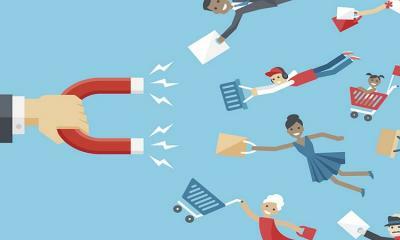 E-commerce trends are continually gearing up for better customer acquisition and retention, over the years. Not coping up with these trends, will eventually result in a serious setback. Hence, online businesses must update, reflecting the new market trends; and also come up with new innovative ideas to stay competitive. So pay attention to all the mentioned trends and stay a step ahead in the online business world. Great article! With valuable stats. Very useful, Sawaram, thanks for putting this together! The eCommerce industry is constantly changing and definitely pushing business owners to evolve as well if tehy want to stay in the game. We’ve also gathered some interesting opinions on the future of eCommerce from other industry experts. so check it out if you’d like! Great article, thanks for sharing! Very good point about micro-moments. You can check out also my list of trends which covers also some different topics. Thanks for stopping by! Glad to know you liked article.